Again a conversation for three erupts. This time around Nick Drake, triggered by Vasthi, who belongs to the 60s discussion of a few weeks back. Mark E. Smith's demise is a second trigger and from there of course things go all over the place sort of. We learn of bands of the past and present two of the three conversing here play(ed) in. As you may have seen, I've added some material to the blog about Vashti Bunyan. I might also mention that the best interpretation of a Nick Drake song on the Mojo cd tribute is of "River man" by Field Music who are basically two brothers David and Peter Brewis from Tyne and Wear. Highly regarded: they were nominated for a Mercury Prize. I'm just catching up with them; they had an RSD-only album and the next eagerly awaited album is due shortly (and I like their approach to sleeve artwork). I will try to get to see them this year when I hope they'll perform "River Man" which is a wonderful song. Speaking of brothers from up north, I didn't mention in my brief review of 2017 Liam Gallagher's album which went straight to no.1 in the UK charts on its release (not sure who exactly compiles chart anymore though!). It is not as consistently strong as Noel's, with fewer impressive effects - more in your face that is actually just right for Liam: the voice is back and there is some Oasis feel to a few tracks. The stand out for me is the super-confident "I've All I Need." As the two once fiercely warring brothers are apparently making up, Korean style, the question is does Liam need Oasis to reform? (Now go and play "Sunshine Supernova" to remind you how powerful that band was). Still on a Mancunian track, I'm in mourning again today: Mark E Smith. I saw The Fall at the Hammersmith Odeon in 1988 when they were at their most polished and accessible with the glamorous Brix (then his wife) on guitar - and even touching the charts at that time. Those of us who listened to John Peel every night in the 1980s and 90s knew them well (over 25 sessions for his programme). Best album is This Nation's Saving Grace - "Paintwork" on that reminds me of doing up a flat at that time in Walthamstow: "Mark.... you're spoiling all the paintwork...." is a recurring lyric - and they did storming covers of the Kinks "Victoria" and R Dean Taylor's "There's a Ghost in My House." Unique, inventive, maverick, unpredictable, no-nonsense, northern spirit/humour and sharp intellect; his passing is as significant as Tom Petty's for me: could have done with another 20 years with them both around. One of the founding Zombies also passed away a few days ago: the bassist Jim Rodford. The line up included the hugely talented Rod Argent and Colin Blunstone (what a great voice....) but the tragedy for them was chronic mis-management: their now highly-regarded psychedelic album Oddesey* and Oracle sold about 10 copies at the time of its release. Recorded at Abbey Road, Rod Argent used John Lennon's mellotron left over from the Sgt Pepper sessions. "Time of the Season" from that album was eventually released as a single and was a hit. (* that's not my spelling typo by the way but a mistake by the sleeve designer - a truly wonderful sleeve though). There's one thing that is bad about the blog: It doesn't warn me when someone responds. I tend to find out (much) later. Are there coincidences or is all fate? Yesterday I ran into a re-released album from 1985 by a band called The Jazz Butcher. In it I reference The Fall, maybe for the first time in my life, as I, sorry to say for you, Mark, did not appreciate that band at the time. This morning one of the first things I noticed after switching on the computer is the demise of Mark E. Smith. Having said that, A Scandal In Bohemia by The Jazz Butcher is excellently weird. Review somewhere soon. Jim Rodford played with The Kinks for over two decades. I have seen him play twice. Once in 1985 when the two Davies where nearly fighting each other of the stage, touring a fairly mediocre album and not a lot of inspiration in them left. Unfortunately my live memory of one of the two favourite bands from the 60s at that time is not a pleasant one. The second time was in the early 00s when he played with The Zombies in a pretty perfect show, where next to The Zombies' materiel, all the solo hits of Argent and Blunstone came by as well. If I remember correctly Rod Argent introduced Rodford as his friend, neighbour of old from down the street and cousin. I hadn't heard of his demise. Just in the past days. Hugh Masekela, Edwin Hawkins, two number one hits in NL, including 'Lay Down' by Melanie. A brilliant song in my mind and an epic number 1 hit. Dolores O'Riordan of The Cranberries and Eddie Clarke of Mötörhead. We may not have time to keep track in the free time we have if it continues in this vein. Especially if a younger generation musicians joins in this list. I never liked O'Riordan's way of singing. The Cranberries did have a few memorable songs of course, starting with 'Zombie'. I totally agree with you on the difference between Liam and Noel. The latter may not need the former any more. Although live that could be different. Besides filling Wembley or a smaller venue. Field Music I've reviewed in the very early days of the blog, but lost sight of the band since I now realise. Must be truthful in that I am not and never have been a fan of Oasis the Fall, however ‘Champaign Supernova’ (that is the one you mean Mark rather than ‘Sunshine' Supernova?) is an excellent track…. However, I have disliked the Fall since they first appeared on the seen… just doesn’t do anything for me! 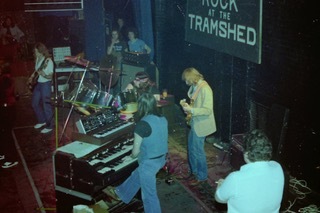 As for Jim Rodford, one of my old bass players Lenny Mitchell used to be a good friend and gigged with him occasionally. As Wout says, Jim was Rod Argent’s cousin and (Lenny tells me) related to Russ Ballard. Lenny sen’t me a photo of himself (guitar and vocals) and Jim on Bass (on the left) although the photo s grainy and you can’t really tell if it is Jim… but I plan it here in case you are interested. I loved the band Argent, Jim Rodford founded the band with Rod Argent so it makes sense that they were related? And yes, Mark, Colin Blunstone had an amazing voice! As for the issue of musicians passing away, I suppose we have got to accept that this will be a common event from now on, although some like Dolores O’Riordan is a real shock! Champagne it is ----- seems I was cross-wiring Liam and Donovan's superman! Oh and mentioning Nick Drake, I was also a big fan of his sister and actress Gabrielle Drake…. She appeared in many British films (There’s a Girl in my Soup etc) and TV series (UFO, the Avengers and New Avengers etc), very attractive lady, then and still! After Nick’s death, she toured to promote Nick’s work… his death must have hit her very hard? I had noticed that one also on Champagne Supernova.... Sunshine Superman is another great song, I have to admit. In that picture it may well be Jim Rodford indeed. I think Gary's correct that Rodford was not a founding member of The Zombies but of Argent and later got to play in the reunion version of The Zombies. As to Colin Blunstone? Yes, a fabulous voice. I bought a copy of his 'Ennismore' solo album not too long ago on vinyl. Beautiful album with three hitsingles on it. Looking on Wikipedia gives Chris White as founding The Zombies bass player. And the "one of my bass players", Gary. What's the story behind that? 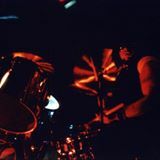 I am an old rock drummer and have played in many bands since the early 70’s. I started playing at the age of nine after my Aunt Fi Brough me my first snare drum in 1965, which I still have in my attic! My Dad and Mum brought me my first drum kit (red sparkle!) and then paid for my drum lessons with Alan Whitehead of The Marmalade! Alan was taught himself by a military drummer who insisted on playing ‘orthodox’ style grip, hence that is the style I play to this day! This is the grip that you see a lot of jazz players and classical percussionists use. On one occasion I was introduced to a few of Alan’s drummer mates when I was leaving after my tutorial, one of whom was Nick Mason of Pink Floyd! I had no idea who this hairy oil was at the time… I have kicked myself ever since for not striking up a conversation! My Dad (who was there) was not impressed as he was a big band enthusiast…. I formed several garage bands with my brother Tony who is an excellent keyboard player… playing mainly covers and to be honest sounded pretty awful! In the mid-70s my Dad helped me buy the love of my life, a Premier Chrome Clad kit… when I got possession it was one of three in the world, I had one, Keith Moon(!!!!) had the second, but I don’t know who the third guy was? Strangely, it ‘almost’ did! We struck a friendship with a couple of brothers at a local folk club, Paddy and John Carder Bush…. 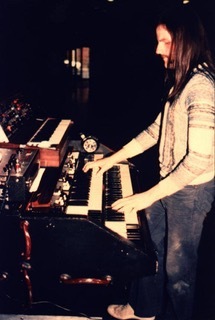 They were intrigued by Tony’s Moog synthesiser and asked us around to their father’s Barn (we lived in the next street in Welling Kent) for a jam…. They had a primitive recording setup and we had some fun playing folk and prog. At one point their young sister came in and wanted to play Tony’s Hammond and Moog…. You may have heard of her… Kate Bush…. We had a few more jamming sessions with Kate, Paddy and John Carder (he always instead on being called that! ), but we soon lost touch and the next thing I knew was Kate playing 'Wuthering Heights' on TV…. Shock isn’t descriptive enough! 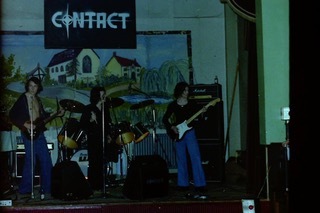 We formed a band called ‘Contact’ in which Lenny Mitchell played bass and backing vocals…. We had several band member changes during that period but it was fun! 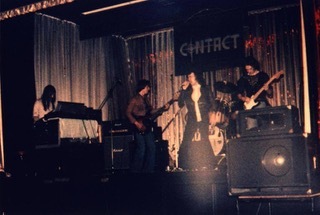 Later we formed a succession of Prog/Heavy Rock outfits culminating in our Prog Rock band ‘Monolith’…. We recorded a few albums but they were never taken up by record companies as Punk was the thing and no one with money wanted to know…. But we had a good following and we even made a tour of Western Europe (including the Netherlands!). I remember waking up in the back of our Bedford truck at 05:00 in freezing temperatures wrapped in my Afghan Coat (I called Fred!) and a couple of blankets with what seemed like an icicle dangling off my nose…. And thinking…”this is not for me”! At some point after I joined the Civil Service (for the second time) and ended up working in a Job Centre! After 13 years of that Mark interviewed me for the DTI and we worked for many years together after that! Anyway the band continued with several lineup changes and recorded more but eventually we split the band in the early 80s. I went on to form and play in several other bands but stopped playing in 2001 with the birth of my first daughter…. Ah right - I thought I heard in the obituaries that Jim Rodford was involved in the Zombies right at the beginning. I'd be rubbish writing for Wikipedia! Argent - well I only remember "Hold Your Head Up" which seemed to go on forever (and that was the edited single version!). I don't think I ever saw them on the university circuit in he mid-70s and I don't remember any of their albums - I never had a chance to listen to them. In the 70s for these bands that were not in the same league as say Led Zep or Deep Purple that everybody bought, because records were expensive and we had no money (and absolutely no access to credit in those days - that's only for rich people), someone would read the NME, Melody Maker or or Sounds for the tour dates, get some money and Mum and Dad's permission to go to a concert (my first was Rory Gallagher at the Liverpool Stadium - an old boxing ring now demolished - in 1972), come back all excited, buy the latest lp and would lend it round close friends - hey, forget the bloody Beatles, you've got to hear this - this is progressive! Home-taping not possible until late 70s I think. Hardly any radio programmes were playing lps at that time - only John Peel I think on the BBC - Radio Luxembourg was entirely pop charts. On the TV just one (eagerly awaited) late night programme, the Old Grey Whistle Test (maths exam next morning....s- h- i -t !!!). So the chances of hearing lps in addition to the few you managed to save up for and sneak past your Dad, were pretty limited. In our sixth form (boys only) we did have a sort of record club which we contributed our records to (and hoped, prayed to get back eventually - and maybe even unscratched too!). I remember borrowing lps by Jethro Tull, Atomic Rooster, Lindisfarne (after seeing them on OGWT) and Stray (remember them?) and thinking "crikey there's a lot going on...... " I remember one lad had all the Creedence lps - now, he had taste! Maybe my brother and I were a little luckier as we were buying albums from the early 70s (maybe 10 a year at the beginning of the decade to about 50 a year by the end!)…. We had reel-to-reel recorders that we would record from the radio by placing the microphone next to the radio from the late 60s! I used to listen to the BBC’s 'Sounds of the Seventies’ which was all album stuff…. The theme tune for the programme was usually a George Martin piece known as "Theme One", played in baroque style on a church organ. It was the version by Van der Graaf Generator. Martin had written the piece some years earlier as a theme tune for Radio 1, this is still one of my favourite pieces of music! https://youtu.be/wZ0UrwusWcM really miss that program! That's a nice story, Gary on you and bands. I am playing in bands since the mid 90s, nearly continuously, but nothing like you. I can boast of two shows in France and one in Antwerp, with most superb food and wine in a modest castle. I was driving unfortunately and an audience that was totally uninterested in every single note we played. Total mismatch, but exquisite food and drinks. For me and Argent it is exactly the same. A one, small hit, wonder the band was over here. I have never heard anything else to this day. During The Zombies reunion tour they proudly announced those other "hits" and played them. Albums was something I was modestly interested in as an early teenager. A few enter the home each year at birthday's and St. Nicolas eve. In 1975 I truly discovered albums through a radio show and my small cassette recorder. This is where my love for Pink Floyd started. Something that lasts to this day. Roger Waters is only five more months! Money was put aside to buy them. When I started in my first job in 1978 they started to come into the home by the week. This has never really stopped although the numbers are significantly lower for the past ten years plus. My upcoming record will be the new Django Django. My first self bought album, I am nearly certain was 'Coz I luv you' by Slade with the band's first two hits over here on it in 1971. An album that does not seem to exist officially. Looking at the tracklist it is compiled from two albums for the Dutch market to have an album with both 'Get down and get with it' and 'Coz I luv you' on it. I lent albums to friends, but they came back in such a shocking state. I wonder to this day what one of these guys did with my records. It must have been bowling on a gravel court or something. They all came back beyond scratches. Then through him I learned about Yes and Uriah Heep live albums. Which was sort of cool. His albums were fine by the way. Yes that’s right Mark, I have just Googled and Peel was one of the presenter, in fact I remember listening to Peel and he would introduce some really obscure and, frankly bizarre artists. On one occasion my mate Brod (Broderick Bassett…. yes, his real name!) recorded on his reel-to-reel a track in which the lyrics mentioned doing Kung Fu in your underpants, at the end of it Peel just says in his deadpan Wirralese (is there such a label?) voice… “hmm...yes! "… we just rolled around the floor in hysterics! I will ask Brod if he still has it? Broadcast on weekdays, initially 18:00–19:00, subsequently 22:00–00:00, on Radio One during the early 1970s. Among the DJs were Mike Harding, Alan Black, Pete Drummond, Anne Nightingale, John Peel (who alone had two shows per week), David Symonds, Bob Harris, Andy Ferris, Stuart Henry and Alan Black. For contractual reasons one of Peel's two weekly shows was known as Top Gear, but the format and content of the show on every weekday were in essence identical for most of the early 1970s. 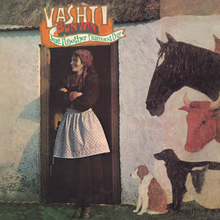 Unlike most other Radio One programmes, Sounds of the Seventies concentrated on albums rather than singles, and rock rather than pop. Sessions recorded exclusively by the BBC and featuring major musicians of the day were a regular feature; the Musicians' Union insisted that "needle time"--time given to playing recorded music—should be limited. Keep Music Live! In 1974 the Thursday show was replaced by a show without DJs known as the Thursday Night Sequence. Album tracks were played without interruption or introduction, and Pete Drummond gave the artist name, album name and track name after the piece. I recall listening to this and the use of sound effects in the background between tracks and when Drummond spoke occasionally! In early 1975 Sounds of the Seventies was dropped. In September of that year the loss of a nightly slot for progressive rock music was restored by the introduction of the nightly John Peel Show, which initially broadcast from 23:00 to 00:00. Peel carried on and expanded the practice of hosting exclusive sessions by major musicians. The Peel show format lasted until Peel's death in 2004. To begin with I liked John Peel, but his turncoat behaviour with ‘Punk’ and ‘Indie’ upset me… and, at the time made me very angry when he slagged off bands like Yes, Mike Oldfield and ELP (who he famously called “a waste of electricity” 😆)…. Alan ‘Fluff’ Freeman was more my jock! Whilst surfing I found this amazing site that features Sounds of the Seventies page, you may also find some of the other pages interesting? : http://www.radiorewind.co.uk/radio1/sounds_of_the_70s_page.htm Check out Vincent Price clips!!! As to my recordings, sadly I would record over the top of a previous recording due to the cost of magnetic tape…. Sounds like I was emulating the BBC! Anyway, I think I disposed of a lot of the tapes when I got rid of my reel-to-reels… as we upgraded one format was not usable on the next or would show the poor quality of it’s predecessor… Tony and I ended up with a great TEAC 4 track reel-to-reel for band recording use, mixing down onto a cassette for selling at gigs or to friends! I used to record a lot of comedy shows, both on radio and TV (sound only obviously), including ‘I am Sorry, I’ll Read That Again’ which was a combination of The Goodies and Python! Again, long gone I am afraid! A word of warning about your tapes… you should wind forward and rewind them a few tomes a year otherwise you get the magnetic recording ‘transferring’ onto the next part of the tape causing echo effects, distortion or blurring. Also the Earth’s magnetic field can fade the recording over time (20+ years can make a real deterioration), also the tape can ‘weld’ together, so be careful the first time you play it. There are stories of old master tapes being remastered striping the iron oxide off the plastic tape surface and destroying the original recording…. Doing this is now a science and an art artform! Like you, I love my children to bits, but they have ‘cramped my style (man! )’ and hindered my musical taste! As too meeting idols, they say it can disappoint when you actually meet them! I had no idea you were a fellow musician (although there is the joke; what do you call someone who hangs around with musicians? A drummer!). What do you play, keyboards, guitar, bass, vocals? As for lending albums, this is something I am loathe to do these days as I have lost so many in the past to ‘friends’ who never gave them back, or as you say use them as frisbees or ash trays, coming back as unplayable! Mind you my dog has had a bite or two out of some album covers in the last year! Best guard them and never let them go without constant supervision! I am going to a local record fair this Sunday, so may pick a bargain or two? I dare to call myself a guitarist and can hold a harmony vocal. Having started far too late to ever grow beyond competent though. Off late I am the only guitarist of the band I play in, called Sweetwood, a pun on the village we practice in, Zoeterwoude. My girlfriend is the singer. Ages between 50 and 60 something. The repertoire from Chuck Berry to Adele. The brunt of the songs are from the 60s I'd say. What I like about this band that every once in a while someone comes with a real surprising song and it just works. Something I'd never play at home, like 'Rolling In The Deep' or 'Wicked Way' by Waylon, a Dutch singer (see here: https://www.youtube.com/watch?v=QAxsimgTRRM). This song is just a ton of fun playing. Like most bands the members keep changing and changing. The bass player and I are playing together 6 year come spring. Our latest addition the keyboard player came in just before the summer holiday and the male singer quite this fall not to be replaced. Before this I played in a 50s and 60s cover band that gigged fairly regularly at parties for circa 15 years, strictly rhythm and before that in a horribly bad band called The Beerhunters, but we did play 50% our own songs, penned by me. When we finally were going somewhere, as in daring to think of a gig, with better musicians around us, the drummer quite, once again. I had just started a "real" job and did not have the energy to do the rounds to search for a new one this time around. The other members would do it. I haven't seen them again to this day. And no, they did not ditch me this way ..... They just stopped playing music it seems. So today I am learning to play 'Come Together', 'Send me a postcard' by Shocking Blue (see here: https://www.youtube.com/watch?v=upO7h5FsIYI) and 'It's my voodoo working' by Eilen Jewell. Very divers and fun to play. So yes, Gary, it's time to get that old drumkit out and start to play some again. Forgot about Shocking Blue. Venus was a massive hit. I see sadly that the singer Mariska Veres passed away in 2006. Pretty much defines what a rock single is. Think I might hunt for a copy on eBay! As I write this I'm watching "The Kinks at the BBC" TV special on BBC 4 and there is Jim Rodford on bass behind Ray Davies (in pinstripes) singing Come Dancing on Top of the Pops. I saw Ray Davies performing at the Hop Festival in Kent a few years ago. He made it clear on stage that he was really pissed off after being told to cut his set because headliner Bob Dylan had just arrived. Please don’t give up, it is great fun to play in a band even if it’s just a hobby! Once you play in front of an audience it never leaves you and you just have to 'rock out’ once in a while! You must send me a video of your next gig! Enjoy the Rock and keep the faith my friend! Yes, I saw that tonight Mark! BBC 4 does have some music documentary gems sometimes! Sorry to have missed the Ray Davies special. His latest album 'Americana' is quite excellent, made my top 10 of 2017. In the last decades I have seen him twice and on Jools Holland twice. I can't help to think that he sort of destroys his own career and legacy. He seems to crave a recognition that may be his due but somehow is not getting, where all the heroes of his time do get it. He forces his hands by wanting, near forcing people to sing along, forgetting the power of his songs. A bit sad. This spoiled both shows in part. He did the same with 'Sunny Afternoon' on Jools. Stopping the song to make people sing along, which did not really happen. Come Shocking Blue. If you find a greatest hits album, get it. The band has several hit songs that are so much better than 'Venus', including the one we are trying to get on the repertoire. Our second show was completely filmed and the first with duo singers. And yes, performing is great fun. So Nick is a fellow musician? I'm not surprised. He does have a Davy Jones like quality. Great stuff… keep it up! Thank you, Gary. I definitely will. Too much fun playing and I am comfortable enough being the only guitarist by now. Any luck at the vinyl market? I just came home with the new Django Django. Great record. And got myself into the show early March thanks to the blog. Perhaps strange, but it helps every once in a while to get onto a guestlist. The one I am going to is on Sunday, however I may not be able to go now! Do you have access to BBC 4? If so, worth checking the channel out, especially for the music documentaries and BBC gig recordings. Glad you got your album… enjoy! True, Gary. Despite decreasing fame The Fall always got some attention with most album releases. Sometimes even with an interview and pictures. I always wondered what someone has to do look as unhealthy as Mark E. Smith. I might pick out and album just to try a reappraisal. Which one should I listen to, Mark? A "floored genius" - he was on the floor a lot. As I think I mentioned one of the best Fall albums is "This Nations' Saving Grace" from the Brix Smith era when she helped push MES into a more polished approach to delivering his unique lyrical bombast. https://en.wikipedia.org/wiki/This_Nation%27s_Saving_Grace The singles around this time like "Hit the North" and the covers of the Kinks' "Victoria" and R Dean Taylor's "Ghost in the House" are also extraordinary - and great fun actually. I think of him as a kind of Mancunian Lenny Bruce on acid: he had an often marvellously oblique (not so bleak!) way with words and though he could be enormously generous and sweet he probably was hell to live with. Brix divorced him after 6 years and he then reverted to more marginal cult status where he felt more comfortable - and his boyish visage became severely distressed. He was notorious for sacking his entire band at regular intervals but they all love him regardless: guess they kind of knew the inevitable would happen at a moment's notice. There is a highly respectful tribute by Brix in this week's NME: "His creativity was born from his darkest places" - "He was a brilliant poet" - "Mark was absolutely true unto himself. People always say "push the envelope" but for Mark there was no envelope. He was creating from a place of absolute artistic purity - it was a place that was true to him." Lenny Bruce is gone but his spirit's living on and on. He's on some other shore, he didn't want to live anymore. Lenny Bruce moved on and like the ones that killed him, gone. Lenny Bruce was bad, he was the brother that you never had. Dare I say many of these sentiments could apply to Mark E Smith. http://www.bbc.co.uk/programmes/b09p25p3 Slotting in "Martha My Dear" between The Smiths and Patti Smith was.....startling! Thank you, Mark. I will go out and give this one a try. Wout - Very good review of the new Field Music album "Open Here" in today's (London) Evening Standard: "usually more melodic ideas ....in a single Field Music song than you'll find on most albums" .......and get this, Gary: ".....there's also a strain of early Seventies English prog emerging......an outrageous synth solo .....sounds like it has escaped from a Caravan album." (gulp...!). Just got paid so all I've got to do is find a shop that sells new records. Not so easy these days. There's also a 4-star review of a new album by.....Simple Minds (called "Walk between Worlds"). This takes me back! I've still got that amazing run of superb albums from 1980's "Empire and Dance" though to 1984's "Sparkle in the Rain". The Standard reviewer kicks off the review with "The paucity of new British bands perhaps explains the enduring appeal of the old ones." Hmm, does seem that way - hence all the reunions (of those still alive...), West End musicals (The Kinks and Small Faces) and even museum exhibitions (e.g. The Jam at Somerset House) about sixties bands too. Yours, still "Alive and Kicking"
The reason there is a paucity of new good bands in the UK is that there is very few places to play live now…. Todays musician has every opportunity to write and record in their bedroom on a laptop, but try to find a string of venues to play live and get that oh so important experience to play, and even more importantly get it right, in front of an audience and you have a problem! Musicians of 25+ years ago had to learn the hard way; save up to buy a decent instrument; learn to play it to a sufficient standard live in front of an audience; play live multiple times to ‘get it right’; then build a following….. then you may be incredibly lucky to get a record or management contract! Today some ‘artists’ (I use the term advisedly!) use samples, pre-recorded loops, auto-tune, bang out a few tracks and upload onto Spotify hoping that an influential ‘playlist’ includes their track….. I am afraid this is not conducive to a well rounded and innovative musician learning his or her craft. Hence the ‘older generations’ of musicians are still at the top….. I had this argument many times with our old colleague Adrain Brazier…. He was of the opinion that you don’t need seed funding for rehearsal or live venues, but I know just how valuable that is to new talent. The Musicians Union old mantra “Keep Music Live” is a maxim that is more important now than it ever was! Live venues are closing at a distressingly increasing rate, either being closed down or converted into a non-music venue, the same is happening to pubs…. The problem is that even if we opened up new live venues and rehearsal facilities, we would be looking at a good five to ten years before you would get the standards that we were used to in the early 70s. I may check out Field Music….